There are many different brands of automotives available throughout the world. 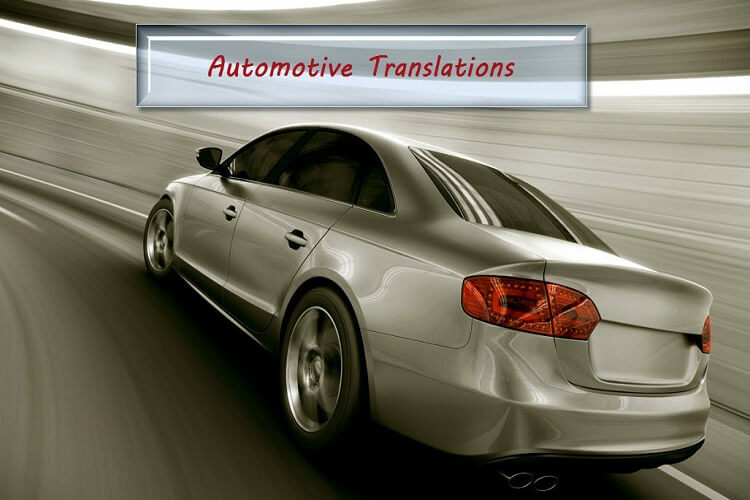 To be the most competitive on the global market, a professional translator is needed to translate important information about the vehicles into many different languages. There are more and more professional translation businesses who are teaching their translators key automotive language used by the big companies. When they are asked to provide a translation in even the least used languages they are ready with the best automotive translators in the business. If an automotive company wants to be better than its competitors, marketing to an international audience is compulsory. This can include standard marketing techniques like billboard advertising, websites and posters. The important thing though is to get the information translated into all the world’s languages to allow for the greatest exposure to a global audience. With every auto there is always a user’s manual. This needs to be translated into the languages of the countries which are likely to buy the vehicles. Most autos come with warranties so these need a professional translation too. No car salesperson wants to be confronted by a buyer who can’t understand the warranty rules for an auto they have just bought because it’s not written in a commonly used language. Many cars these days use controls that use voice as commands. These need a professional translation so that the user fully understands the instructions. There is nothing worse for a driver who makes a mistake because he or she could not understand the voice command because it was not in the right language. Most sensible automotive companies should ensure that the technology used for voice commands are translated into the languages of their consumers. It should be easy for the user to set the right language too. Many companies these days are not necessarily based in a country that speaks English or another major language. This means when a customer requires support because something doesn’t work there needs to be good professional translators nearby to do any necessary translations.